In the last episode, we were following our normal pattern: hack something together, get tests to work, clean it up. 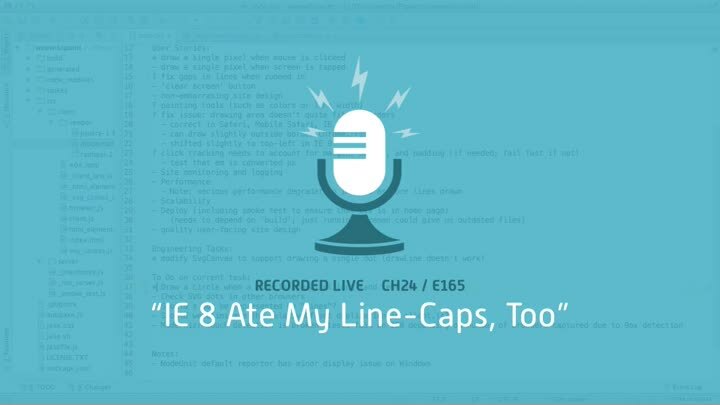 Then, disaster: a manual test revealed that using line-caps to create dots doesn’t work on IE 8. In this episode, we go back to the drawing board and come up with a completely different (and much more obvious) way of solving the problem.